Tuesday's magnitude-5.9 earthquake, centred south-west of Washington DC, was the most powerful quake on the US east coast since 1897. Although little damage was reported, office workers evacuated and gathered in the streets, fearful of powerful aftershocks. 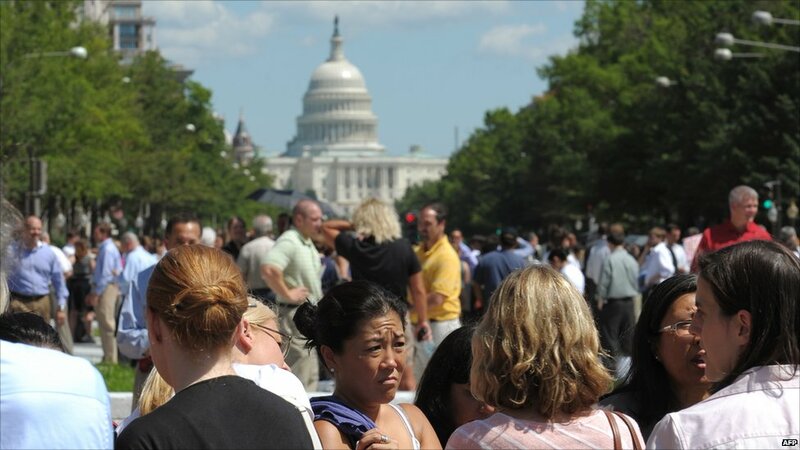 The streets of the US capital rang out with emergency sirens - though no injuries were immediately reported. 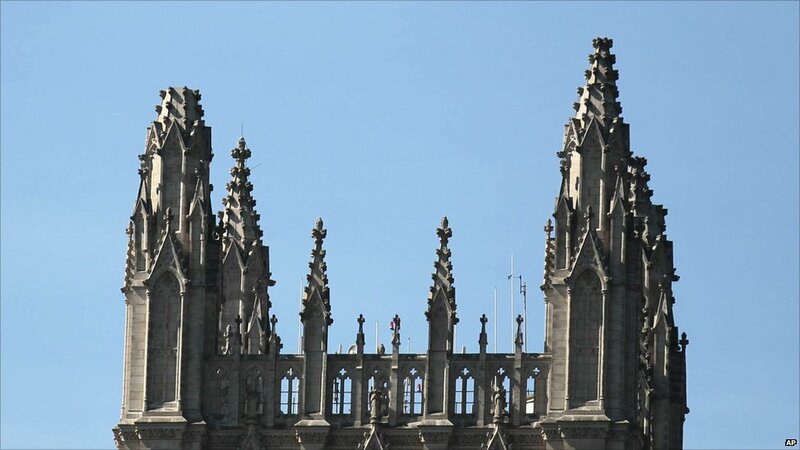 Some of the worst damage reported was at the top of the National Cathedral, the highest building in Washington. Pinnacles at the top of the tower were damaged. 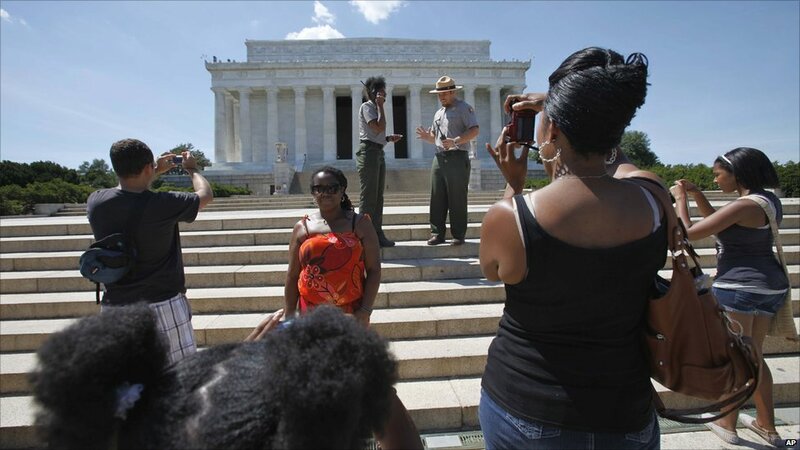 National monuments in Washington, typically bustling with tourists, were empty after they were cleared by park officials. 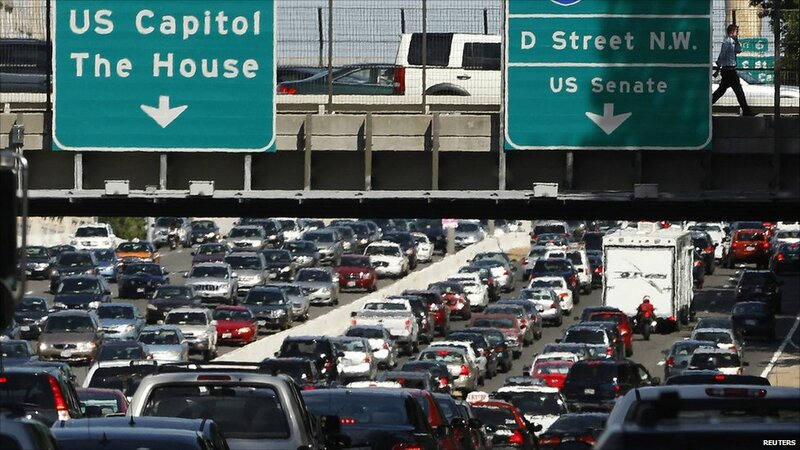 But there was quickly heavy congestion on roads leading out of Washington, as anxious workers sought to leave the city in the wake of the quake. There were transport delays as workers inspected tracks and runways. 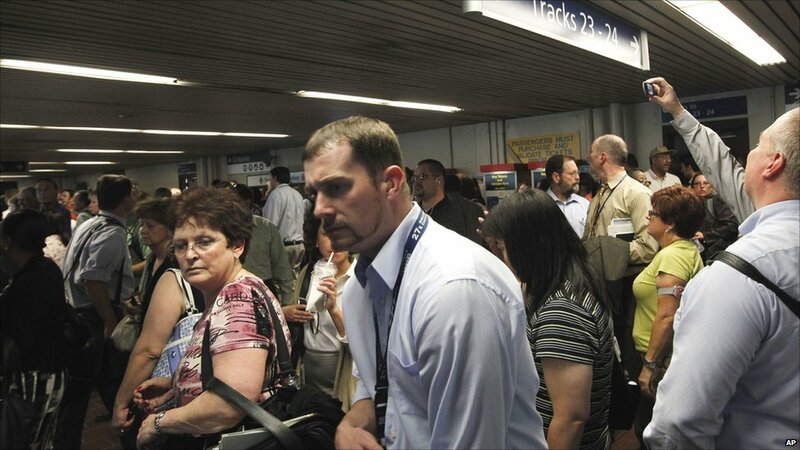 At Union Station in Washington, passengers crammed onto a train platform. 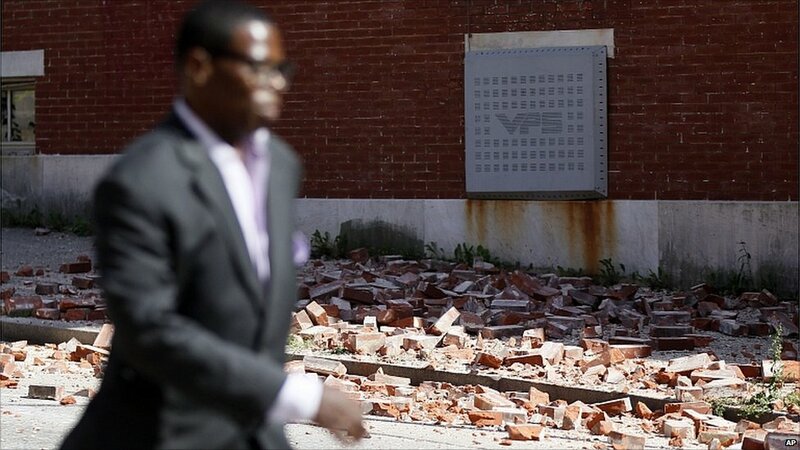 In Baltimore, Maryland, some buildings were damaged by the tremor. Buildings in New York were also evacuated. 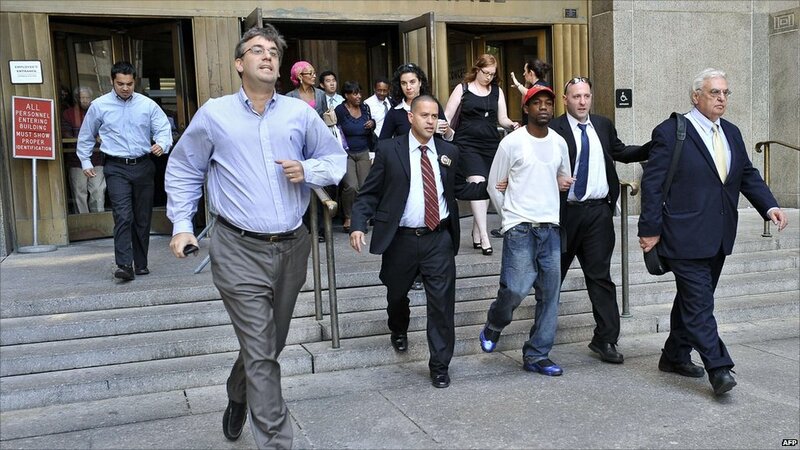 Officials escorted a handcuffed defendant from a court building. 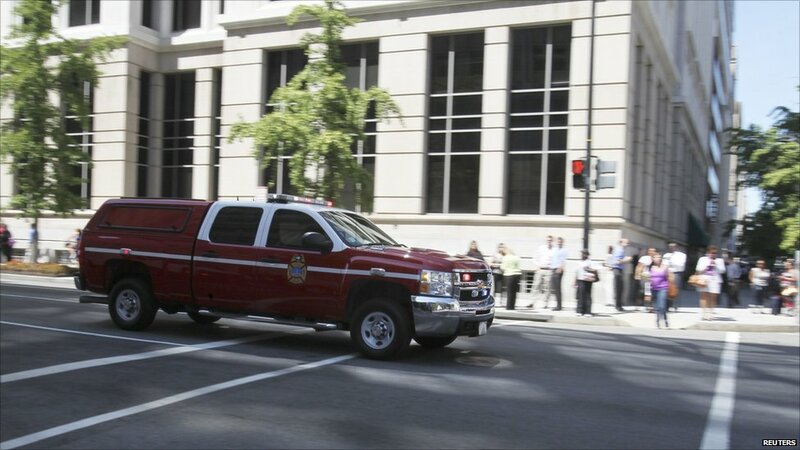 A bride in New York had to be ushered away from a courthouse building as her wedding day was affected by the earthquake.